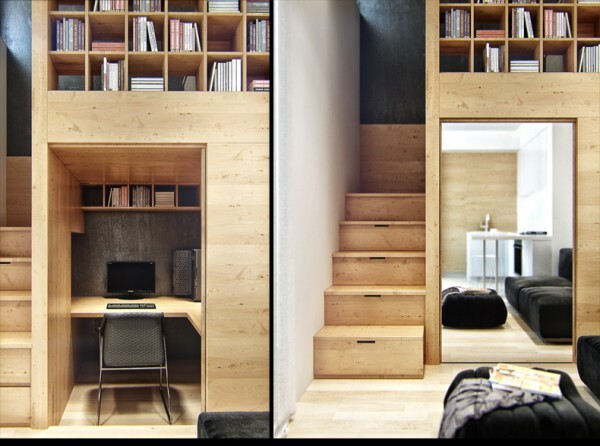 In a last case when there’s other way out, a bedroom can be planned in the same space. 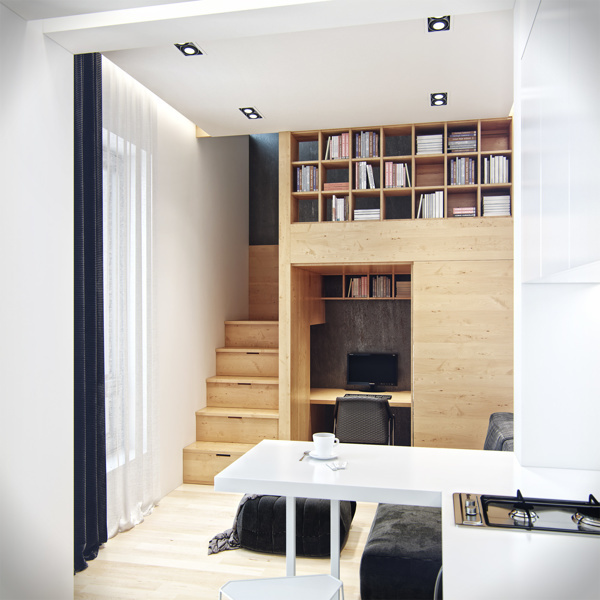 Small apartment ideas would be a great assistance for those who cannot solve the problem how to save space. 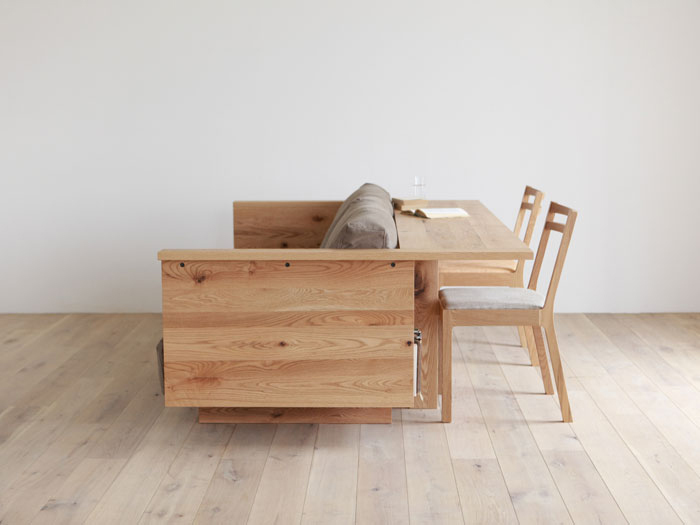 You don’t necessarily need to buy a “ready” piece of furniture which you see in here. 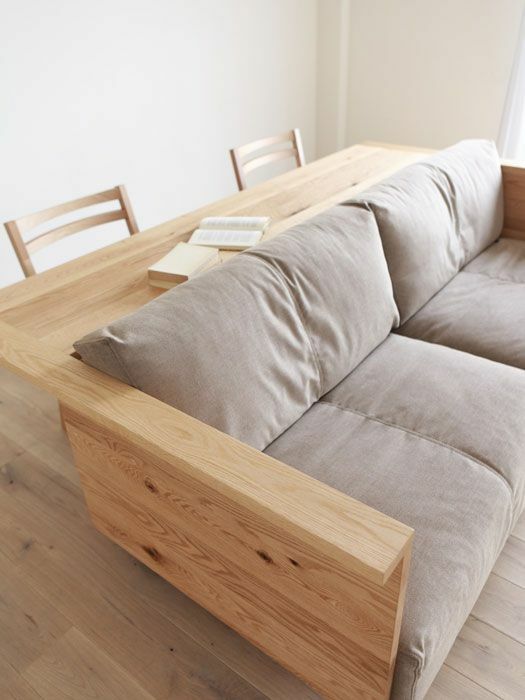 Just buy a sofa without side supports and make them as well as the table and shelves as per order. You’ll have three functions in one and it’ll not take you a lot of space. In addition, that’s a solution which looks extremely aesthetic! 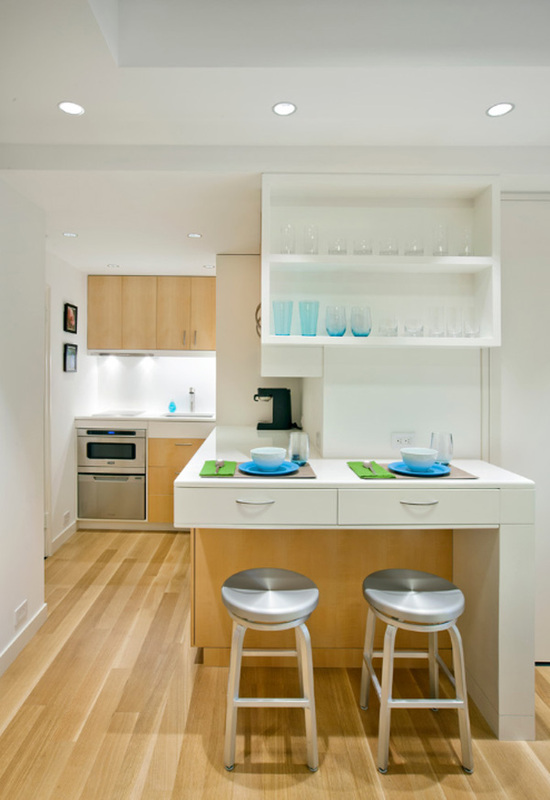 If you don’t have a lot of space, separate kitchen and dining rooms can be a disadvantage. Combining those two spaces and using the same colors and solutions, it’s possible to equip one space for a kitchen and dining room comfortably in a direct and visual sense. The example indicates it clearly. The pieces of furniture, the table and small table are all of the same color, the wall and the ground combine two spaces and creates a fascinating background. Pay attention to the fact that all the pieces of furniture are of the same shapes. 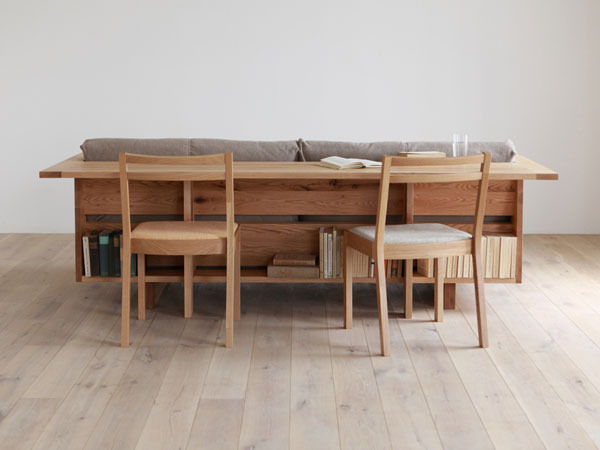 A comfortable sofa fits here and when the guests comepouffes which serve as the chairs for dining are taken from under the table. 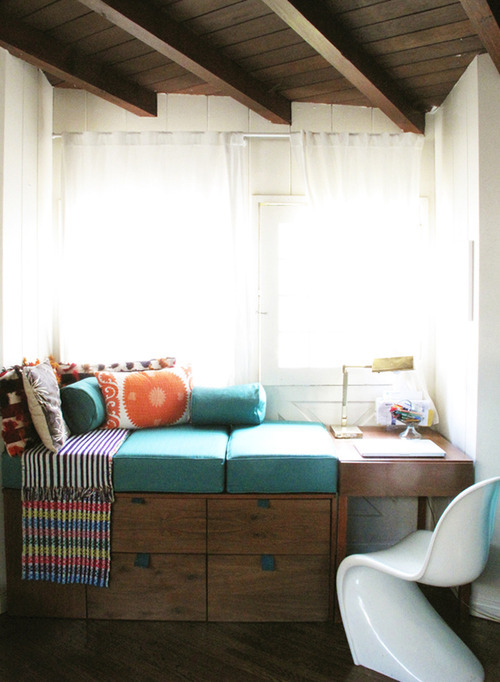 A wooden wall in front gives lots of coziness to a space – it’s not overloaded with shelves or cabinets, simply one short small table is enough. 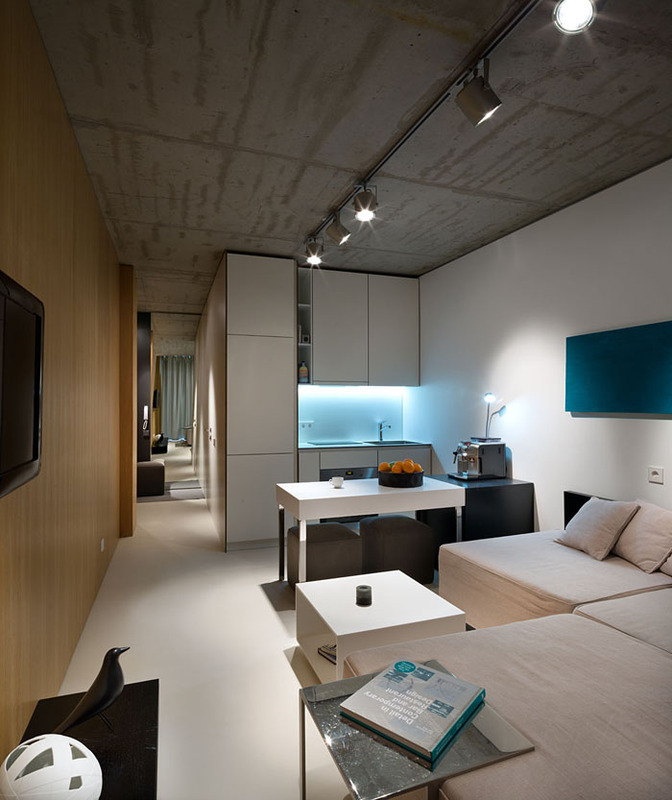 Personally for me that’s a super example of apartment where it’s possible to beautifully and comfortably live in a small space, just some lighting lacks. If you have space with high ceiling and the flat area doesn’t satisfy you – use this advantage and equip mezzanine where normally there’s a bedroom. A work space is quite wisely projected in this example which looks as a mirror at first sight and there’s rather a lot of space for work inside I’d say. 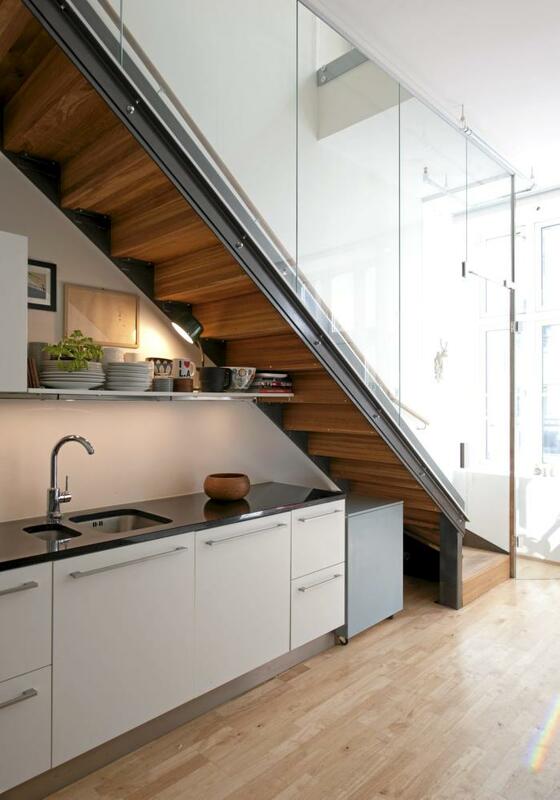 Stairs are also used purposefully – steps are made of drawers and space for books is equipped instead of a wall which would separate mezzanines – again two birds with one stone are killed. In a last case when there’s other way out, a bedroom can be planned in the same space separating it from the rest of space, yet leaving the opportunity to see the room. The work zone is also incorporated into the dining room and a dining area is so slight and merges with the space that it seems that there’s nothing better to come up with :) I see the disadvantages in the fact that as soon as the room is entered, the kitchen is visible – there’s no intermediate space and outside outfit is hung here in a dining room. Besides, the flat area is 31 square meters. Well, fine, if you have stairs, probably the apartment isn’t so small, however, that’s not always the rule. 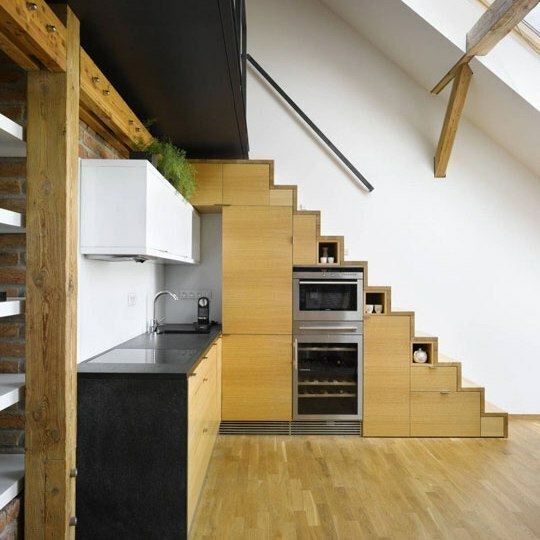 A space under the stairs can be used not only for drawers or cabinets, but also for the kitchen equipment to integrate! Older post How to use E-interjeras blog? 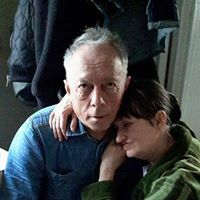 Daug puikių įdėjų mažų erdvių planavimui išnaudojant aukštas lubas.Deja,aš tokios prabangos neturiu.Ir niekur nerandu patarimų interjerui mažų erdvių su įtin žemomis lubomis...Visaip suku galvą,kaip vizualiai paaukštinti lubas?O jei iškalti lentelėm zigzagais,rombais,o erdves tarp lentų dažyti įtin tamsia spalva?Ar tie tamsūs plotai padarys gylio įspūdį(aukščio)?